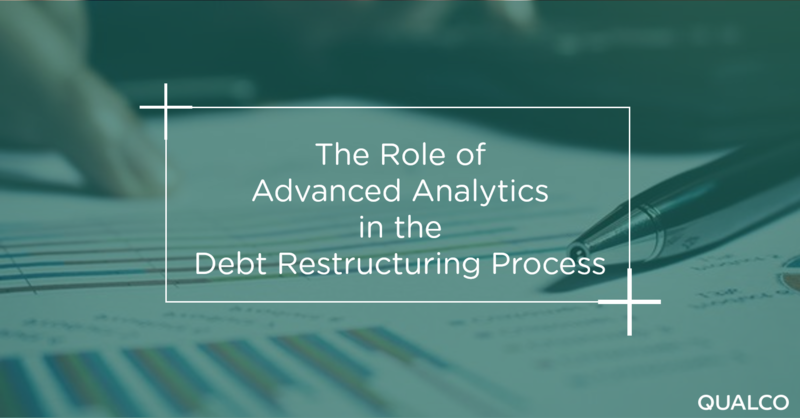 Since the financial crisis, debt restructuring has preoccupied creditors across Europe – with many using analytics to determine priorities. Day-to-day portfolio management is often dismissed as merely an operational issue. However, those operational processes expose critical points where analytics can contribute. Identifying those points is key to unlocking better decision making. In the customer journey there are many moments at which analytics can be deployed. A typical restructuring process involves: identifying a group to target, contacting those customers, finding and proposing a solution, validating information, and implementing the agreed plan. Each of these stages consists of a number of steps, at any of which the process may fail. Models can provide feedback at every decision point to maximise the long-term benefit for both the customer and the creditor. The first stage in the process is to identify the right pool of people to target and make contact with them. Process outcome models help prioritise which customers to target, while probability of default models can also help identify customers at early stages of financial difficulty. Analytics also help organisations decide whether it is worth attempting to retrieve missing contact details, and which method to use, judging whether the cost is worthwhile for any particular customer. When it comes to making contact, models can help decide how to vary and how long to continue the contact attempts before escalating to another process. It is important that models distinguish between the reasons for not being able to contact the customer as this will define further actions – are they unavailable or deliberately evading calls? After establishing contact, organisations can verify and enrich the data available and obtain an updated income and expenditure (I&E) statement. In most cases, this is the first opportunity to review the customer’s circumstances since credit was granted and will largely determine the solutions offered. Models can identify which customers are most likely to provide income and expenditure details. Once a restructuring solution is proposed, models help decide which approach to adopt for individual customers, and when to stop expending resources. Once the customer has agreed to a solution, they need to produce supporting documentation and sign the agreement. A surprising number fail at this point. Some simply require nudging in the right direction, using the same modelling approach as that taken in securing initial agreement. Aside from bureaucratic obstacles or changes in the customer's’ circumstances, the rest can be assumed to be strategic defaulters and appropriate action taken. Once the customer has signed the application, the agreement needs to be set up in the system and performance monitored. The wealth of data available should mean collectors can proactively handle situations where the solution turns out not to be viable, customer circumstances change or customers change their minds. However, this requires periodic customer reviews, I&E statement updates, and clear business rules on the redirection of customers to other processes. As well as ensuring failed agreements can be dealt with individually, these data mean creditors can examine what went wrong and refine their models. The restructuring process is the single most important process that can be applied to a contemporary credit portfolio. It is the gateway to successful customer rehabilitation. Analytics should deliver actionable predictions with a measurable impact in the simplest possible way. In effect, making human effort more cost-effective by focusing it on the things that systems and analytics cannot deliver on their own.